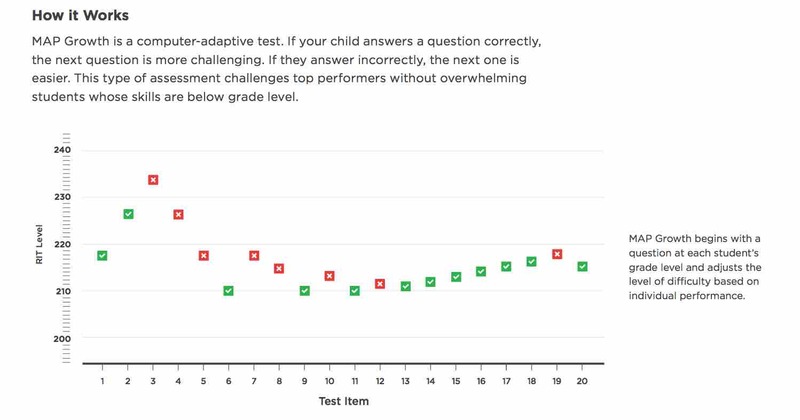 MAP Growth is a computer adaptive test created by NWEA that students take three times per school year. The MAP Growth tests include multiple choice, drag and drop, and other types of questions. Students in Kindergarten through 3rd grade complete Reading and Math tests. Students in grades 4-8 complete Reading, Math, and Science. High school students complete testing for Reading, Algebra 1, Algebra 2, and Geometry. RIT scores have the same meaning across grade levels. If a 4th grade student and an 8th grade student have the same RIT score in reading, then they are testing at the same level in that subject. 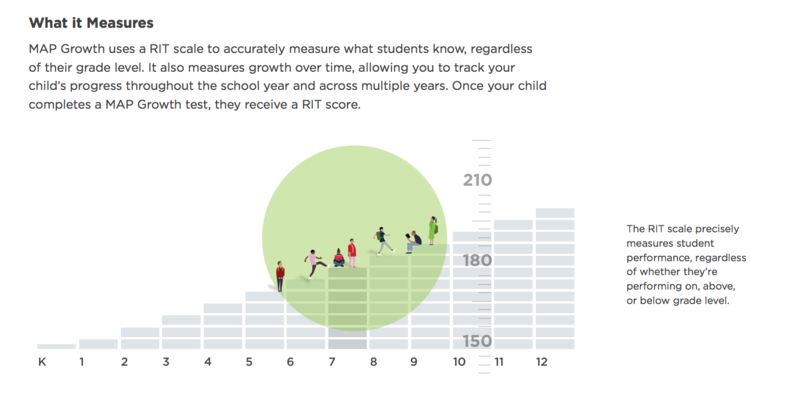 Teachers can use the score to inform instruction, personalize learning, and monitor the growth of individual students. Administrators use the scores to see performance and progress of a grade level, school, and district. Grade level charts that indicate the score students need to be considered on grade level for the MAP testing. Clink the links below to view example questions.